I wanted to explore with you how shame is the feeling that accompanies the thought that one has either done something bad or that one is intrinsically bad. Today I felt ashamed; historically it’s a familiar feeling. I knew it would pass yet it’s never easy when shame raises its head. “Why couldn’t I just have been like everyone else?” These familiar thoughts screamed in my head as I faced what had triggered my shame. Then suddenly, my mind took me back to junior school, the sports field at lunchtime in early summer. There was much to be ashamed of back then. I’m not sure which came first, the feelings of shame or the feeling of being different and not fitting in. I’m sure it was not helped by my mother’s appearance for which I was ridiculed on a regular basis. Other mothers wore tights or stockings, mine wore white knee length socks. “Why’s your mum wearing white virgin socks” would be the battle cry from other children to shame and humiliate me. As I write this now it seems so petty, compared to what so many have to endure in our world today. Yet back then, the pain of the shame and embarrassment was all but physical and still I feel that memory today. Shame is an exceptionally powerful force and in the extreme can push a person to take the ultimate step to suicide. So I’m grateful that however bad the shaming got, from others or my own internal critic, I found ways to hide or keep out of the firing line as much as I could. Avoiding shame and fear at every corner became one of my greatest challenges as a child, yet unfortunately, like most things we try to avoid, it inadvertently followed me wherever I went. I now endeavour to embrace all that I am, even the parts for which I may have previously felt shame. Most people form coping mechanisms to deal with aspects of themselves for which they have no acceptance. While these mechanisms may help with the symptoms, they can hamper integration and healing, in the same way that painkillers deal with symptoms yet can be detrimental in the long term. Many people don’t even realise that a particular behavior they engage in is actually a coping mechanism, a reaction to something held deep within. Healing is the place of balance. When one lives united, no longer suffering through internal battles we are void of conflict. Understandably this is the aspiration; to gently flow like the tides, not fixed and rigid, accepting and embracing all that we are. Contrary to popular belief, we don’t have to “let it go” or as I used to hear all too often “get off it”. All we need is to express the feeling until it no longer needs further expression. Once the pressure of unexpressed feeling has been released through healthy expression we take a giant step along the path to healing. Shame and guilt seem like close relatives, yet for me, guilt is the feeling of having done something which is wrong, whereas shame is the feeling that I am bad and wrong. I would say that over the years my feelings of shame have decreased, yet today showed me there is more, however little, still to release. So rather than push it into the shadows I invite it into the light and offer it here as a sign post to assist others to loosen the grip that shame has on their life. Feelings of shame are either self generated or taken on from someone or some authority with power and influence over us. Much of this is put in place when we are young children. Apart from those who were directly told they were bad and subsequently believed it, many concluded that they must be wrong or bad in order to make sense of situations that they didn’t have the developmental capability to understand. For the most part, to young children parents are perfect, they cannot do anything wrong. So when something untoward happens like being beaten, abandoned or left, the child has to frame their reality to keep intact their unwavering belief in the perfection of their parents. This is achieved by making it all their own fault and as a result cultivate an underlying sense that they are inherently bad in one way or another. Shame affects us both mentally and emotionally and can also be detrimental to our physical health and wellbeing, potentially fatal. Without love, compassion, understanding and forgiveness for self we can never be free of shame. So, how do we start to heal the wounds of shame? In my early twenties I suffered with what seemed like constant headaches, to the point where if I woke up without one, I’d be suspicious. One day while visiting a friend, I had to lie on her sofa hoping my headache would pass. Her mother, an eminent psychotherapist came into the room. As she stood over me, her hand gently resting on my forehead she said, “Philip, I think there’s a lot more going on here than just a headache that really needs to be talked about”. I wonder if the look in my eyes gave a truer answer than my half attempt at a silent smile. My thoughts, on the other hand, screamed in my head “You must be F……g joking lady! I’ve spent the last twenty years keeping all this well and truly buried and I don’t think I’m about to let it all out now!! !” Within a year I had my first breakdown. So I understand only too well when people say, “I know there’s things that I haven’t dealt with, but I just can’t go there right now”. Experience has helped me to handle those intimate moments, where possibly a total stranger has given me access, even for a split second into their inner world. Hopefully, without seeming too pushy, I invite them to stay in touch, leaving a door open for if or when they feel inclined or ready. Never pressing the point, I still wonder how long and how much suffering they endure by holding inside something that with the right help could find resolution. There is much I could say about misguided advice from friends or family, to ill-advised professional help of which many report. The shocking discovery that in 2017 one in six adults in England were prescribed antidepressants, not counting the 70,000 children under the age of eighteen and almost 2,000 under the age of eleven. 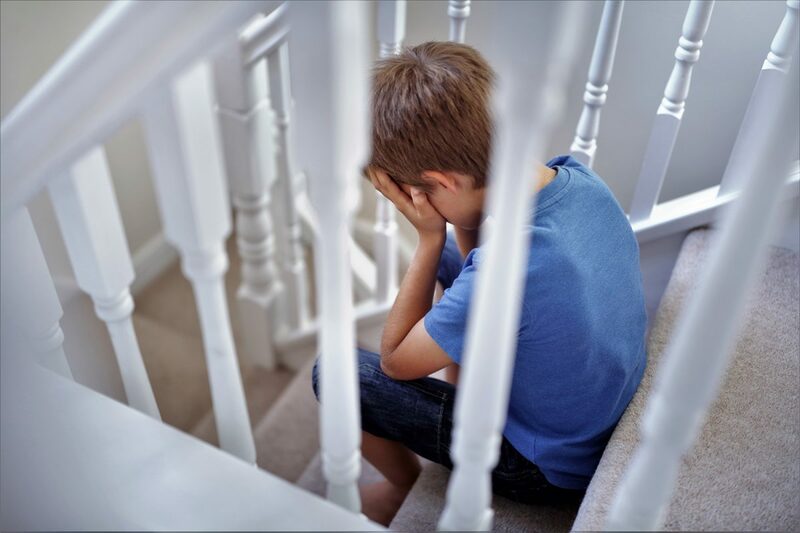 Surprisingly, this came after GP’s had been told to avoid prescribing antidepressants to children and adolescents where possible, after research showed that use of SSRI’s and SNRI’s are linked with suicidal behaviour. This protocol is like knocking a person out, by hitting them over the head with a hammer, when they came to the doctor complaining of a headache. “Well at least she no longer has a headache,” the family are told. “ Don’t worry we have a great fracture clinic to deal with her extensive scull damage when she eventually wakes up”. So, it seems that somewhere along the line the world has taken a humongous wrong turn. Distracted by amazing innovation much has gone unnoticed. Progress in technology seems inversely proportional to the degeneration of so much in our lives. Drastic rise in infertility rates, massive rise in homelessness, suicide now the number one killer in males under 45 and overall life expectancy has fallen for the first time ever. Technology may not be the cause but it may have inadvertently brought to the surface many underlying problems. 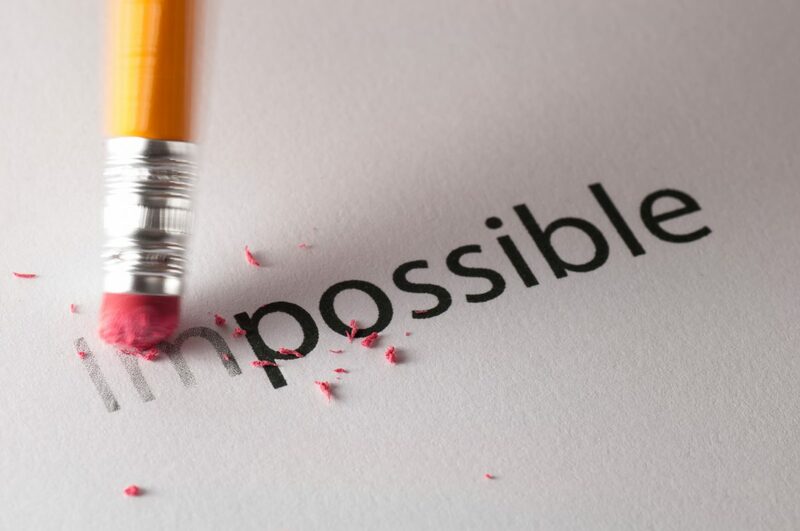 Historically, we found ways, consciously or not, to reduce the pressure that so many things in life produced. Yet, now there is no down time, no getting bored and no starring into space. In the pursuit of faster, better, more efficient, we have become more like a well-oiled machine and it feels as if our humanity is being sucked right out of us. I’m not surprised that one in six needs to be drugged just to make it through the day, and I’m not talking about recreational drug use either, like antidepressants they’re at an all-time epidemic level. In London alone, 7.5 kilos of cocaine is consumed every single day and that translates to a street value of £300,000. So now, more than ever, we need to learn about a part of ourselves that we know the least, which is how our feelings and emotions could operate healthily. I remember the fear of taking a step into unravelling my feelings and my past. I used to call it “The Humpty Dumpty Syndrome “ fearing once I opened up I would fall apart and break into a thousand pieces and no one, nowhere, would be able to put me back together again. Scared that if I got angry I might kill someone or if I started to cry I would never stop. In the decades following I often wished that back then, I had met someone like the person I had become. If only someone could have sat with me, educated and equipped me with the tools to deal with all the feeling that I had buried deep inside. I had no idea of how to handle what life had thrown at me. Far too many things that were imperative for my welfare were never taught. As for so many, the training for life stopped way too early. If only I could go back in time and help him, the way I help others today. Explain why he craved love and acceptance, yet feared its absence. Why he carried misguided beliefs about himself that left him feeling less than in many areas, allowing others to treat him the way he did. Young children (pre7-8) are unable to assess their world rationally. Their ability to think logically is limited, which somewhat explains why a small child will cover its eyes and shout, “You can’t see me”. It’s a cute thing to observe yet shows how our thought process is at that point. Unfortunately many never go back and redress the conclusions that they made at this time, right or wrong much is established by this age. Throughout history several have been credited with the phrase “Give me a boy till he is seven and I will give you the man”. This may explain why many clients whose parents separated before that age, will at some time try to explain how they felt somewhat to blame for their parents getting divorced. This may further explain why many of us have underlying illogical historic feelings of being bad, wrong or guilty when there is no reason to at all, as we were the children, we were the innocent. There is much benefit to be gained from being able to rewrite these illogical conclusions that we collated in those early years. Fear and lack of understanding keep many from embarking on the journey to resolve the hurt of the past. Believing that we don’t know how to do it, is often enough to shut down the slightest murmuring of desire to open the proverbial “Pandora’s Box”. Yet it’s important to know that Pandora’s Box has a hinged lid, that can be lifted just a little to take a peek, to let off a bit of pressure, if only for a second or two and then replaced. This can be repeated over and over until we feel safe enough to give full expression to something that might have been buried for a long time. You cannot help what you feel. You cannot be too sensitive. It’s ok and sometimes necessary to talk about the same thing over and over again as it not only helps to give expression to the feelings, it is imperative. 3a. If the listener can’t handle hearing it over again, find someone who can. The difference between a trauma and a memory is discovered in how they both feel. 4a. It’s over when it becomes just a memory. What other people think about you is actually none of your business. Pain is not comparable; your pain is your pain. Self love is imperative for a healthy life. Love doesn’t need to be proved, fact’s do. Should and shouldn’t have no place in our feeling world, we either do or we don’t. Everything that we need to resolve, heal and move on is inside us already. The art of how to navigate and bring together all the aspects to achieve this is what I would call “Good help”. 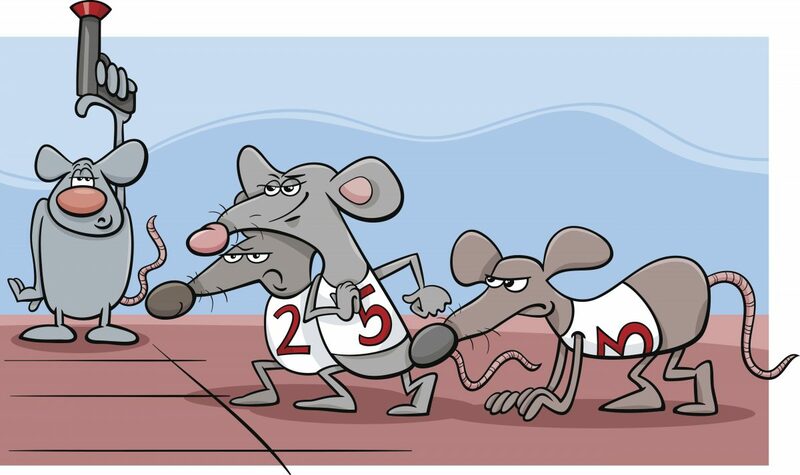 HAVE YOU EVER MET A RAT WHO WON THE RACE? It was only when I stopped running that I could appreciate I had been running in the first place. Only then could I comprehend that this, whatever this is, it’s definitely not a race. Subsequently, being able to pose the question “What’s the hurry?” and weigh up the pros and cons of a life lived in the fast lane brought about much needed understanding. I had witnessed a fascinating process some years ago. A large group of people divided in two, lined up against opposing walls of a conference room in a hotel. The first exercise had only one instruction, “Run to the opposing wall as fast as you can”. For the second exercise the instruction was, “In a brisk yet orderly fashion and without bumping into anyone coming the other way, get to the far wall in the shortest time”. The results only gave weight to the old saying; “Less haste more speed”. Yet the world strives to become faster in the yearning for more, with speed and efficiency being key components to so many proposed solutions. Yet patience and tolerance becomes the casualty, their demise inversely proportional to the increasing speed of life, extremes becoming greater by the day, polarisation everywhere we look. Watching people run down the road or up a flight of stairs we have no idea if they are running towards or running away, both look the same. The motivation is likely to be very different, yet they are still running. I wonder if anyone actually wants to run, unless they are out taking exercise? We spend so much time rushing around and the stress of doing so is often displayed like a badge of honour. The silent meaning given my those adorning such a badge leads one to surmise that they believe their action is something special, important, doing work of great value. Yet far too often, from the outside they look more like a chicken with its head cut off, busily running around achieving and going who knows where. The World Health Organisation stated that stress would soon become the number one cause of death. How much stress is caused by running through life at a pace we are unable to sustain without detriment? When we finally get to what we want to be doing, we are often to exhausted. Unable to answer why we constantly run, making everything into a race or a competition we keep running, yet often these races are futile like trying to out run our shadow, however fast, we can never win. “It seems normal”, people say “It’s just what you do”, yet few can seem to remember when or what it was that made them start running in the first place. How much is missed when we run? The potential magnificence of the here and now is sacrificed chasing a goal that might have been better treasured had we taken the time and appreciated the journey. The few times I played tour guide to foreign or out of town friends, was literally an eye opening experience. It was only then did I stop and notice, viewing through fresh eyes and becoming aware of how much I miss while taking these routine journeys day after day. So many people seem still and calm as you look across the carriage at them on the underground. Yet inside many are revving away like a boy racer at the traffic lights, impatiently waiting for their station to debark. They are totally unaware, however educated they may be, to the damage this is having on them. More and more over the last decade or so I have observed a strange phenomenon that I have nick named “Twitchy Leg Syndrome”. They might be sitting still yet their leg is twitching at a pace like a dog scratching itself or an antsy athlete keen to dismount the starting block. A symptom historically connected to “Post Traumatic Stress Disorder” has become commonplace, even ignored by most. The unexplored potential damage I’m sure will surface in time, like the unseen damage caused by the continued revving of a stationary car, until finally the head gasket blows and everything grinds to a halt. Many people seem to have a mantra that keeps them running. “Once I’ve ……. Then I can stop”; yet miraculously for most this is not the case. Once achieved the agreement seems to get mysteriously hijacked by a caveat that sees us continuing to run. While others look on perplexed at what might actually happen if we just stopped… For the rare person who does stop, the world often looks on with sympathetic eyes, perceiving that there must have been some sort of breakdown that precipitated such an act. 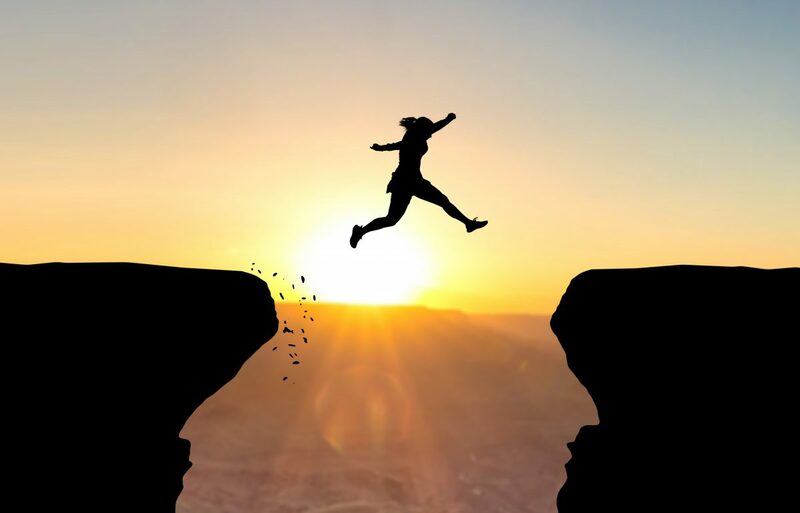 Yet maybe what we are actually witnessing is a person having a breakthrough, a break out, someone who dared to jump off the wheel to face the unknown fear of the consequence of such an action. I watched a TV show that played pranks on the general public. A man would run past someone in the street and shout “Quick” as he continued to move past. It was amazing the amount of people who without any more information started running after him, never knowing why. I wonder if birth should be renamed The Starting Block and death The Final flag. The life threatening Big C may in fact be Competition, yet no one seems to know the rules or whom they are supposed to be competing against, never mind a chance to train before we have to start the race. Think back… When were you ever not in some sort of race or competition? I’m not asking you to stop, just observe and be aware. From the moment we are born someone is monitoring our progress making sure we develop at a pace someone other than we have set. Unconsciously flung into competition, not only through the stories that mothers tell to each other about how advanced little Johnnie is for his age, our everyday world is built primarily on competition. With each step of our development more competition is thrust under our nose. Comparisons made to motivate us to do better, often create more damage than good and remember, only one person can win the race, however many started at the beginning. A recent report found that motivation by competition is actually detrimental in the workplace and the scars of making siblings compete with each other can be seen into old age. For most the race called life is more like a game of cards played with a five year old than competing in the Olympic trials. She deals you your cards and explains the rules but as you start to win she changes them to secure her win. With each hand played the rules mutate so eventually the last hand looks nothing like the first. Maybe the only way to win the race is to make up our own rules, to take control from the dealer to have a race where we are the only runner, guaranteeing winning every time. I once said to an academic that maybe life would be easier if we “compared everything only unto itself”. In the ensuing verbal “dog-fight” I was told this was not possible. Technically, she may have been correct but maybe I was in fact inferring that a paradigm shift was needed, one that would neutralise competition replacing it with something far more beneficial and rewarding. Our world is based on competition, with few winners and many losers. We are told that it is not the winning that is important, just the taking part. Well then, why do we only remember the winner and how many remember hearing “Winning isn’t everything but losing is nothing”? From shopping in Sainbury’s to brushing your daughters hair the pace of the world has become faster and expectation of the time anything takes has created a population that does not know how to wait and take a breath. So we rush to the gym, yoga or relaxation class where we fit in “Me time” like a pit stop from the real world. This machine called life has become more and more efficient and those “time wasting” processes have been mechanised allowing the more “important things” to be prioritised. Yet maybe we don’t realise the value of those boring mundane chores. In the same way that the pharmaceutical industry has taken natural plant remedies, balanced in their creation, extracted the active ingredient and produced a highly efficient and lucrative drug. So if what is discarded is of no use why did nature put it there in the first place? Author adminPosted on January 21, 2019 Leave a comment on HAVE YOU EVER MET A RAT WHO WON THE RACE? It is a common employment practice to be put on a three month probation when first hired, to see if one up to the job. Although invariably for the benefit of the employer, it allows both sides to assess if person and position is a good match. By instigating such a process it neutralises the need to assume or take anything for granted, however obvious these may appear on first view. Once past probation, periodical appraisals will make sure that everything develops in a positive and productive manner, advantageous to both sides. Yet in other areas of life this is often not the case. Many things, people, relationships or situations are taken for granted, set in stone, never questioned after the initial process of discovery and integration into life, has taken place. Often only after something has been excluded do we start too appreciative or be grateful for what is now lost. Even though some assumptions may be beneficial, others can bring about untold and seemingly unrelated damage. It is only once we put assumption under the microscope can we begin to appreciate it’s pro’s and con’s. I remember age fourteen, aimlessly wondering around the school yard, pondering life’s many questions, questions more fitting for a psychology major than a teen. On one such walk I concluded, “The only constant thing in the universe is change” and here in lies the nub of the debate regarding assumption. If change is constant what place in life is there for assumption? The more concrete and fixed something may be, the more chance that assumptions attached to it can be a fairly safe bet. That Stonehenge can be found two miles from Amesbury or that Big Ben can be found at the north end of the Palace of Westminster is two such examples. That said, even the physical landscape of London has changed drastically since I was a student. The more we ponder assumption the more paradoxical its presents itself to be. As I stood at the basin and turned on the tap I had no doubt as to what would happen next; water would imminently gush out ready for my morning shave. I had been struggling for some time with writing a piece around assumption, tussling how best to explain the pro’s and con’s of something that many never question or even think about. Yet assumption although inevitable in one form or another, can in many areas of life be detrimental, dangerous and even deadly. Then in a flash, a perfect example jumped out at me, the hook my piece needed was right before my eyes. My relationship with this basin in fact the whole of the bathroom was quite different to that of most other people. For I had literally built this bathroom myself piece-by-piece, in a room that in its previous incarnation had been a bedroom. I remember with child like excitement the first time I turned on that tap, setting sail on its maiden voyage, hesitant yet excited at what might happen next. Logically knowing the outcome but emotionally fearing a failed mission, I waited. The following moment seemed to stand still, as the nectar of life gushed into the sink following an initial spluttering of air. I was very, very pleased, my goal achieved and not a leak in sight. I’d always been amazed by installing anything new into a place previously devoid of facility, be it tap, light switch, electrical outlet or as in this case a whole bathroom. Some might say that I have not done enough of this sort of work to loose that sense of wonder, of child like excitement and magic I felt, every time I completed an installation. That may well be true but which position would you prefer to find yourself in? One where you experienced magic in the mundane or one where repetition has turned the magical into the mundane? You see when I turned on that tap I had an overriding sense of gratitude. Not only for the fact that is had worked and was not leaking all over the floor but for the privilege of being able to have water come to me. Finally this room had gone from bedroom to bathroom from no running water, no tap, bath or toilet to literally having it all at my fingertips. For some a tap bringing water would not only be magical it would be a miracle. For the one in ten people on this planet who don’t have access to clean running water this would be the greatest gift. Yet how quickly does it all become normal and just something else needing to be cleaned? As I look back I could cite enumerable examples where assumption has taken precious gifts in my life and turned them into “just stuff”, stuff so taken for granted that it no longer registered as I went about my day. Like that amazing feeling of freedom when you first pass your driving test, no longer beholden to another to get from A to B you aimlessly take to the road just because you can. So where did that amazing feeling go, what happened to the magic of motoring? Well the thief came and stole it, the thief known as “Assumption” and with it he took our gratitude, our sense of wonder and the ability to just be in the moment and enjoy this newly discovered freedom. Like many things in life, assumptions can be helpful at times and hinder at others. It would be all but impossible to eradicate assumption from the human psyche and even if we could would it actually be of benefit? We may not be able to affect the assumptions of others but we can take stock and re-evaluate our own and how they have molded us into the people we are today. If we were able to enlist the assistance of hindsight how often would we discover that assumption had hindered more than it helped? As we continue with assumption under the microscope we see that they can often take us off course, erasing appreciation, negating gratitude. So rather than trying so hard in life to be grateful and appreciative and often falling short, maybe all we need to do is to stop assuming. Assumptions may not always be of our own making; some may have been handed down, one generation to the next. Assumption is often the fertilizer that many things including prejudice are cultivated in. Assumption is the thief who steals away appreciation from an act of kindness or generosity, demoting such acts to mere expectations. How often do mothers feel taken for granted? How much is silently assumed on the part of her child who asks yet silently assumes compliance to their instruction? “No” is not an option that they are prepared for. In such an exchange both parties loose, both parties denied the precious jewel found within giving and receiving. This is the gift that assumption brings. Assumption can make meaning where meaning is lacking, a meaning that may be far from the truth. The more we probe the more we see how invasive assumption can be. In the search for inner peace and tranquility many strive for the here and now, the perfection of the moment. Yet assumption has no place in the here and now, no place in this moment. So I invite you to notice your assumptions, to ask how valid or in fact true each one is and how different life would be without it. How would life improve if we reduced our assumptions and how much more would our appreciation and gratitude grow, enabling us to enjoy the wonder of this precious present moment? A Mental Health crisis or a symptom of a far greater crisis? 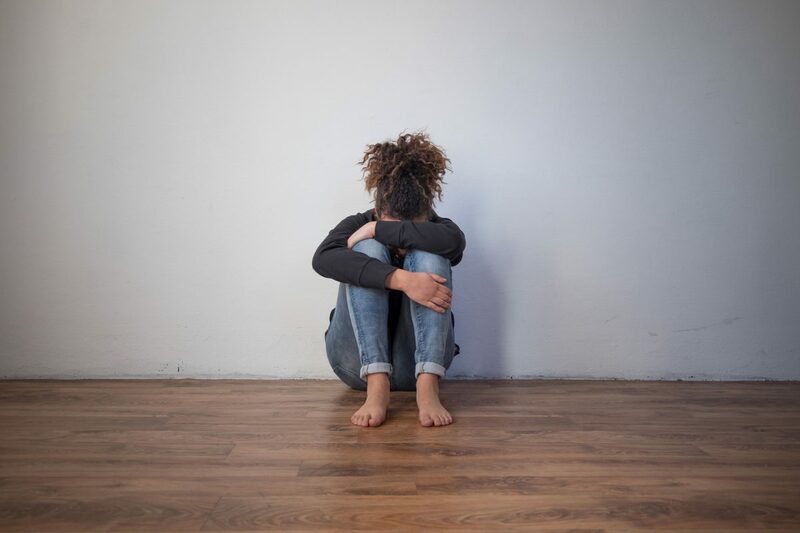 A recent survey carried out by the Royal College of Occupational Therapists to coincide with Mental Health Awareness week concluded that six out of ten MPs questioned feared stigma over disclosing their own battles with mental health and the resulting public backlash. The report went on to show that 80% of Parliamentarians had either suffered mental ill health themselves or supported a family member through difficulties. So why would such eminent people be scared of being associated with issues that the world at large is trying so hard to embrace with open arms? Could it be that the term “Mental Health” is not only confusing but also misleading and potentially harmful? With such a profound lack of descriptive language in the area of “Human Wellbeing” much is left to vague interpretation. Traditionally, when one referred to mental health it was a term used in the context of mental illness to describe particular, defined psychological conditions that rendered a person unable to continue life with mental clarity and thus making cognition difficult and leading in some circumstances to a form of psychotic breakdown. Today though, when you look up the term Mental Health the definition does not only include recognised mental conditions but also makes reference to emotional health and social wellbeing. These extremely important areas need to be given equal billing and not listed as sub groups or aspects of mental health. This clumsy clumping together creates more confusion than it does clarity to areas of life that already have highly blurred lines of demarcation and definition. This could explain why numerous professionals I have talked to comment that there is no way they would want any reference to mental health mentioned anywhere on their file. Many are now saying that society is in the grips of a mental-health crisis, documenting days lost at work and the resulting enormous cost to commerce. While it may look like we are in a mental health crisis we are in fact in the midst of a crisis of feeling. This crisis lacks understanding and acceptance for the complete expression of our emotional spectrum. It is bringing more and more people to their knees, expressing symptoms that previously were only seen as a result of mental illness. It could be argued that this crisis of feeling has always been running, like a low-grade virus that never quite takes you to your bed but just has you feeling a bit under the weather. As a result of several key factors in recent times this condition has gone from bad to worse to critical. Feelings and emotions are not only categorised as good and bad. They can also be categorised based on false assumptions about gender. If a woman is seen sitting in a bar crying, some might conclude that she probably had one too many or it was that time of month and not think any more of it. If it were a man sitting crying it might draw more attention and awkwardness. Whereas when a guy gets angry and even raises his voice it’s more often than not labelled as just a hard day at work but a woman angry to the same extent could be labelled “psycho” and given a wide birth. Having spent more than thirty years helping people navigate themselves through issues in life, be they physical, emotional, mental, spiritual, life purpose, or personal and professional relationships, I can say with my hand firmly on my heart that what we are calling “mental health” is for the most part the wrong label, an incorrect classification. I would agree that unaided and without help and support many experiences in life can develop and mutate into what would be labelled a mental health problem but most did not in any way, shape or form start out that way. In order to gain understanding, as we look further into this complex situation, it is important that differentiation is made between our thinking and feeling world. It’s also important to point out that we all individually interact with our thoughts and feelings in a unique way. Yet for the most part, thoughts are logical, they make sense and you could almost say they are mathematical in nature. Whereas our feelings can be random, spontaneous, artistic, often making little sense and may not follow any pattern that can be mapped out through logic. The biggest mistake and one of the fundamental flaws is trying to understand feelings with logic. The answer will almost never make sense, “Why do you feel?” is always the wrong question. Feelings just need to be felt and expressed in a safe and healthy way. They don’t need to be understood, judged or categorised, just felt and voiced. Only our feelings know what they need. How would you react if someone else were to tell you when, what and how much to eat, sleep, use the bathroom or in fact any other function of our human experience? Yet it seems quite acceptable throughout society to police another’s feeling world. Such policing eventually imprints on us, a system of checks and balances that has us automatically dividing our feelings into categories of good and bad, right and wrong. Society has learned to morally outlaw some of our feelings, yet it cannot make the feeling disappear. It just forces them to hide away under a blanket of shame or guilt. Like the story of the man walking the hills with a stone in his boot. After a short time of walking he feels a pain, but thinks it must be just his new boots that need walking in and continues, walking through the pain. Alongside the fact that it’s raining, he’s running late and his buddies keep telling him to stop complaining and being such a wimp. What would eventually happen if he never stopped to remove his boots? Sleeping in his boots and continuing day after day, the stone unreleased would create a blister which untreated would burst and bleed. Ignoring it further it would become infected and eventually gangrene would set in. In advanced stages he would go into shock where his symptoms would become life threatening and maybe then his friends would take his complaining seriously and medical intervention would be sought. In this comparison it is the gangrene or shock that is the “mental health”, the stone an ignored feeling. A monumental problem has been created out of a simple need to address a situation. The lack of awareness of the existence of the stone in his boot has become a life-threatening situation. As he is finally rushed into the operating room I’m sure that none of the medical team could comprehend that what they are faced with is the result of a stone. A stone that in itself is totally insignificant, to the point that no one would probably even notice it falling to the floor as they scramble to take off his boots. I am in no way saying that mental health is not a serious issue, an issue that needs much more support. But what I am saying is that more understanding is needed to comprehend the connection between symptoms that present and the underlying cause. Like many areas of life, this mislabelled topic of “mental health” needs to be turned on its head and a paradigm shift of monumental proportion needs to be activated to bring our awareness to a level where this confusion can be resolved. This paradigm shift could be aided with the introduction of a very simple yet profound concept, which is: “YOU CANNOT HELP WHAT YOU FEEL”, a concept that is for most outside their experience. Whether the judgment is self inflicted or directed by another, the best that most of us can hope for is to suppress the feeling and keep it hidden, but that won’t make it disappear. Like the stone in the walker’s boot, a hidden feeling can create untold damage. Alongside this very simple yet profound idea it might be important to confront the very well established concept regarding the labelling of emotion into good and bad. For many years now I have offered a prize for anyone who could tell me “Who was the first person to conclude that anger was bad?” I’m still waiting for someone to step forward and collect the prize. In all areas of life the classification of emotion seems to be clearly defined. Be they parents, teachers preachers, doctors, or just those who think they know better, almost everyone will have an unwritten reference to good and bad emotions cross-referenced with healthy and unhealthy ones. This polarisation leaves us all handicapped to ever be able to live a truly healthy and contented life. I believe that is it not our feeling that is at fault but the framework and context that the feelings are trapped and imprisoned within. I’m sure, if you were to make lists of good and bad feelings and ask a group of your contemporaries to do the same you would find similar results. The judgment around emotion that most of us have been unconsciously sold is totally wrong and it is from that judgment that the crisis of feeling has been born. Author adminPosted on June 13, 2018 June 14, 2018 Leave a comment on A Mental Health crisis or a symptom of a far greater crisis? Why were we never taught how creative and yet potentially damaging and possibly fatal our words can be? For words can save lives yet words can start wars. Words can enroll others into one’s life and words can expel someone forever. The spoken and written word is probably the most powerful tool that any human being will ever have in their lifetime. As the English novelist and playwright Edward Bulwer-Lytton wrote in 1839 “The pen is mightier than the sword”. Unfortunately the other old saying, “Sticks and stones may break my bones but words can never hurt me,” could not be further from the truth. It’s easy to see the impact of nasty words in the school playground or coming from the mouth of a stressed out mother screaming at her child in the supermarket. 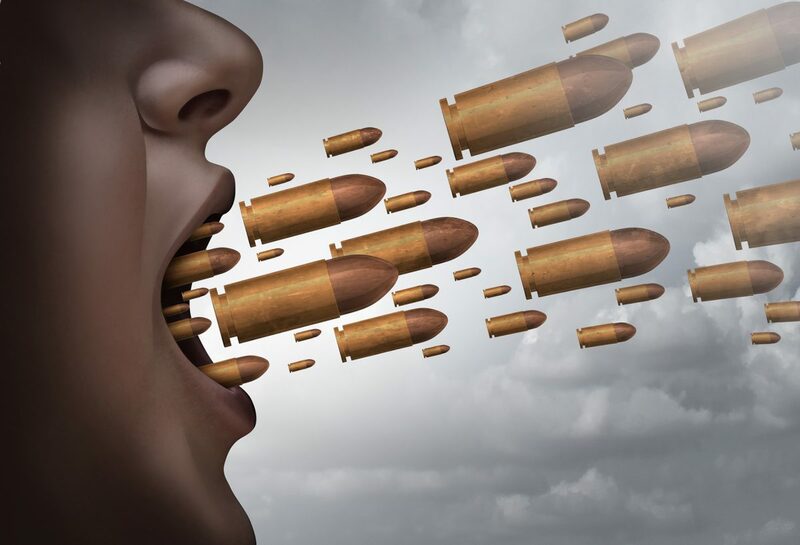 However, sometimes the right words said at the wrong time, in the wrong place or context, or even words said in jest, can be more dangerous than the nastiest comment. Eat up your dinner. There are millions of people around the world starving while you sit there playing with your food. Oh it wasn’t that bad. Why are you doing it that way? Stop complaining, you’re making yourself a victim. If you can’t do it properly then don’t bother. That last phrase, which may have been said off the cuff or out of anger and frustration, had a resounding negative impact on me as a child and stayed imprinted inside my head into adult life. Subsequently, chasing perfection in every endeavor became a torment of monumental size, making perfection the only acceptable passing grade in my life. Understandably life had, for much of the time, been scored and scared with numerous failures. Now it may need to be mentioned that for some people the words of another are nothing more than just that, another’s words. While for those who crave love, acceptance and approval, these words might be a major component in the making of a tormented soul. Although we have both aspects in our character, in that we want to please in some situations and control in others, most will predominately lean one way or the other. Therefore the reaction or response to these words will be profoundly different for the pleaser than the controller. While the controller will ignore or neutralise the statement by concluding “Oh she’s just off on one again”, the pleaser will attempt at whatever cost to follow the words to the letter. It’s a shame that words, like food in the supermarket, don’t have a sell by date. Then after a short period of time things said to us would be erased, no longer carrying a charge and as a result the need to continue to adhere to such words in any form would cease. I read and hear on social media words and platitudes from people trying to give help and guidance. In the name of science, spirituality, self-help or personal growth, much is said that may be true for some, but is touted as truth for all. The words of an acclaimed and respected author telling them not to complain can topple the reader. Statements sold as fact, that lack acceptance or compassion for the position that some reading their words may find themselves in and their newly found voice which finally dared to complain is once again silenced by the sea of shame that rises up to drown not only their voice but possibly so much more. Those who protest the innocence of such words through their endorsement leave me perplexed as to why anyone could endorse such criticism, loosely masked as help and guidance. Over many years, people have shared what others have said under the guise of trying to be helpful and I have been deeply shocked. I conclude that “Help, is only help, if it’s helpful.” How can trying to be supportive through judgment, criticism and protesting ultimate truth, really be helpful? Making someone feel wrong or bad might make them change, but motivating a person by dunking them in a sea of shame will ultimately create more damage than good, doing the recipient a massive disservice. There is obvious connection between word and action. “Please can you close the window?” is hopefully followed with the window being shut. Yet many don’t understand the connection that words have to our feeling world. I knew someone who would spontaneously name out loud the feeling he was having. He said it helped him to move on from a particular feeling he wanted to transition through. It first occurred before he had explained this process and came as a surprise to some of us around him. We were driving down the road when unprovoked a word popped out of his mouth. ”Fear” he said, in a slightly raised voice. Now you may think that his response does not make any sense and you may be correct. We need to realise that as we step into the realm of our feeling world we may need to leave logic behind. A client told me he spent a long time tormented by guilt around his girl friend’s parents. They were hard to deal with and spending time together was very difficult, to say the least. One day she came into the bedroom to find him head in hands. He was again feeling bad about having to go and pretend to play happy families. She enquired as to how he was, since his stance obviously said something was wrong. For once he was unable to say the “right thing” and in a voice of submission and failure expressed his truth. He was surprised, as she not only agreed but also suggested he not go this time, but rather go and hang out with his friends. As he stopped to ponder her suggestion he noticed the intensity of his feeling change. It seemed, he said later, that all he needed was to voice how he felt. Once expressed, his feelings seemed to transform. As a result he was able to accompany her from a loving openhearted place in himself, rather than a shut down resentful one. In other situations just voicing may not be enough and action may be required. Until you go through the stage of voicing the feeling i.e. “I Feel…” you won’t know if that’s enough, or if another stage is needed for resolution. Most of us in our formative years have had our relationship with our feeling world confused and complicated by the way others have either tried to control or misguidedly support us. Then as adults we may have been bombarded by “Help” that turned out not to be very helpful. There may be many reasons why we have learnt not to name and voice what we feel. For some, as children, it was not ok to be anything other than “Fine” or “OK”. How many remember being told “don’t upset your mother, she’s got enough on her plate,” so we bite our lip or swallow our feelings? In conversation with clients I have often been asked what good would it do to talk about certain things with me, since they already think about this stuff a lot. This is another situation where our feeling world leaves the road of logic. Perhaps the person listening may only be needed to bear witness, not to judge or comment on what is being said. The potency in such an exchange may come from a person hearing their own words, as if one aspect of them selves needs to inform another. I remember as a child feeling the disappointment of a broken promise, how ever small or insignificant the subject matter might have been. Once said, I took it as given that whatever had been promised would occur, so the fact they just forgot never made up for the disappointment. I have always been shocked at hearing what some people say in front of their children as if they were not even there or at least deaf. Children don’t miss a thing especially the words coming out of their parent’s mouth. Potentially those words stay imprinted for a lifetime. I always thought it ironic how parents would spend so much time teaching their children to talk and understand only subsequently to convey, “Children should be seen and not heard”. I know many would say that we live in different times and that so much has changed, that there has been a “Paradigm shift in the consciousness of mankind”. Well I have to say I’m not really quite sure what people mean by that, and therein lies one of the biggest problems. It is important to understand what is being said to you and make sure that others understand what it is that you are trying to convey. When a conjuror does a trick it is in the slight of hand that the illusion is created. If you could get them to slow down the trick, you possibly could see how it was done. If only we could do the same with what people say. Rewind the tape and replay what they had just said, except slowly enough to ask for conformation and validation of what they mean. There are often many assumptions woven into the fabric of what a person is trying to convey to another. Apart from the unspoken compliance that is often presumed in the silence of the listener one surely needs to enquire as to the intention and motivation of the speaker in order to be engaged in the conversation. But, is there really a conversation going on? Or is one person “holding court”, giving a speech while the other nods and smiles in the appropriate places including a random word here and there, so the speaker knows the other is still paying attention? Are your choices really serving you? One of the most fascinating things when talking to someone about their life is hearing about how they arrived at where they are today. By chance or intention, we find ourselves at the end of millions upon millions of major and minor choices. Often, only from the outside, can one see the power, intention and motivation in the choices we made. On closer examination, we may see themes or patterns in the tapestry of our life, sometimes operating from deep within our subconscious. Some of the patterns, often in place since childhood, may still be active and playing themselves out today in our life. So why did he turn left and not right? Asking a person to remember why they made a particular choice many years after the fact is often not that simple. With the passing of time accuracy of memory can be tested. So what makes us choose the things we choose and would it be helpful to understand the process by which we come to decide which road to take? How many people look back with regret and remorse at the decisions they made, stating how differently they would have chosen given the chance again. As we all know we can’t change the past but we can change the way that we relate to it. Maybe the best way to relate to the past is to learn from it and move forward, clearer to make the most beneficial choices. There seem to be many reasons why we desire and choose what we do. 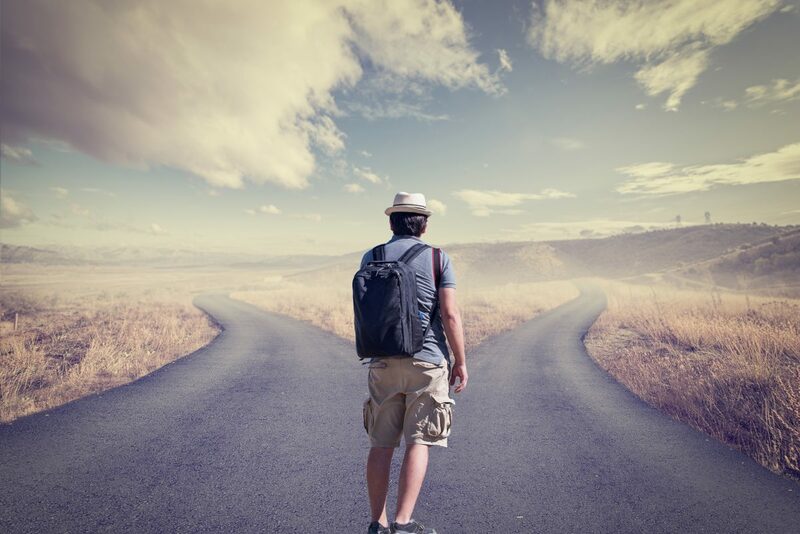 It would be understandable to assume that choice is the next step after desire, but that said, why do we desire what we desire and what are the criteria for choice? Both desire and choice may need greater scrutiny to be able to answer these questions. First comes the desire, or does it? Are we free to desire anything, or are we limited by other parameters? Some people were raised being told that they can “Go for whatever they want,” while others are told “Be realistic, not just anyone can be the president!” So you see, both desire and choice may have hidden trip wires, waiting to catch us up at any moment. Totally individual, our framework for desire and choice is as unique as we are. On many occasions I have tried to encourage someone to:- go for that job/relationship/challenge, citing how totally perfect and completely qualified they are for it. But for some reason, maybe not even known to themselves, they find enough evidence to justify why they would not stand a chance of even getting an interview/date/call back. So you can see by their comment that they have already decided that its way out of their grasp. If only we could take a close look at our own set of rules and guidelines pertaining to desire and choice. We may discover some useful insight, not only understanding more about how we came to end up here but how we could move forward in life with a greater sense of satisfaction and fulfillment. Babies and young children have a very limited range of choice within their command. As they grow and develop they are either given more choice or they reach out and take it. How we expand our repertoire of choice largely depends on the unconscious stance we adopt to get our needs met. Even though both aspects reside in each of us, most will have the tendency to lean one way more than another. I’m referring to the seesaw of “Pleasers and Controllers”, the two opposing stances people can take if they should find themselves short of what they need or desire. A pleaser seeks approval, needing to know what another desires before they choose their next step, enabling them to make the correct step towards the acceptance they so desperately need. If a pleaser presents a plate with two different biscuits, the pleaser will always ask which biscuit the other person prefers and then take the other. Obviously there is nothing wrong with giving to another before yourself, giving the one you love your last chocolate is a sweet thing (haha) but giving is a action free of agenda. As the saying goes “Free to give and not to count the cost.” Pleasing looks very much like giving but has a hidden agenda stuck to the gift. If the agenda is to please another, there is much more going on under the surface than there is in the conscious exchange. I have often felt the weight of unspoken agenda when receiving something from another, knowing at some point this so called gift will come back to haunt me. The controller on the other hand, would not think twice and will take the one they want and give away the other. Now similarly there is nothing wrong with control, just who and what are you trying to control. Control over yourself and your world is your Human Right. Here I define the word “Controller” as someone who tries to control another for personal gain, not the wellbeing of the one they are interacting with. Controllers always try to take charge, grasping control with both hands. If not complied with they may withhold in an attempt to force compliance. Rather than accept and show compliance themselves controllers would prefer to go without or even exclude themselves. This behavior, often unconscious, is a way to make you feel bad for denying them what they wanted (Control). This classic adolescent stance I often refer to as the controller trying to “guilt you” A form of coercive behavior. So for a controller choice is heaven and for a pleaser it’s hell. I remember screaming in the back of my parent’s car “PLEASE DON’T MAKE ME CHOOSE”. At the time I could not have told you why it was so devastating to choose, I was only being asked to choose which suit they were going to buy for me but the feeling was all consuming and my scream made it sound life threatening. Years later it became crystal clear. How could I have chosen? I was a pleaser. The correct answer for a pleaser always sits with the other person and our compliance guarantees approval and therefore getting our needs met. So for a pleaser control is nothing short of torture. If you want to give a pleaser the total choice you have to preempt the offer by saying: “Darling I will still love and support you whatever decision you make about university”. A controller is more concerned about having control than reaching the goal. The child being guided by the hand to the swings pulls away from mummy, exerting control, showing whose boss. Control rather than playing on the swings being more important for that child. Every decision that we make is a stitch in the tapestry of life and we don’t often realise their importance or relevance in the bigger picture. Decisions are made for many reasons, with some like driving a car being automatically taken without a second thought. Understandably, it might feel like an overwhelming task to stop and question our choices, but there is probably a good argument for at least trying to start. Simply put we decide or choose either because “We want” or because “We Fear” No wonder we get tripped up when people say; “Well what are you complaining about you chose…! Maybe choice does not always equate to what we want. So whether you feel that you lean more towards being a pleaser than a controller the acid test is still the same. Pure choice is for personal gain or benefit only It has no intended impact on anyone else. Pure choices do not need to be known by anyone else. Polluted choices are taken based on the impact it will have on the way that another views or relates to you. So the question is, do you choose because you desire or do you choose because you need to affect the relationship that you have with another? Both motivations are valid but it’s important that you can differentiate between the two. Author adminPosted on April 3, 2018 Leave a comment on Are your choices really serving you? There seems to be some very profound and important information missing from our handbook on life. For whatever reason, understanding has been overlooked or omitted of one imperative element that we all need to learn about for a balanced and healthy life. By example and education, much has been passed down from one generation to the next. However, throughout the generations some vital information has been left somewhere on the cutting room floor of this amazing movie called life. The area I’m addressing is our emotional world and its healthy expression. Without emotional health life can be, and is, experienced by many to be disjointed to say the least. Being highly potent and potentially fatal, I find it amazing that this learning has been left out of our education. It seems we have all been left to muddle our way through. With much trial and tribulation we strive to understand, in the same way that those who raised were left by those who raised to sort it out themselves. Many aspects of life are cultivated, supported and often highly acclaimed; while education about emotions is not even deemed important enough to be given a mention. Intellectual and physical prowess has always been greatly hailed, with the scholar returning from university with a first, or the athlete bringing home a gold medal. But there is much more to who we are! Although, in recent times, some have started to touch upon what they refer to as Emotional Intelligence, it is being viewed through the eyes of intellect. They say Emotional Intelligence is the ability to identify and manage our emotions and apply them. This is a very intellectual, cognitive approach and is as far from the nature and need of our Emotional self, as the sun is from the earth. There is no such thing as negative emotions; only negative ways to express them. So let’s not blame the emotion. In the appropriate responsible context every feeling and emotion has its place. Saying that emotions don’t make sense, is like trying to measure steam with a ruler. Sense is a way of defining and understanding logic. If you want to understand, you need to understand the language of emotion. You cannot be too sensitive. You are as sensitive as you are. More often than not when faced with such criticism, people are actually saying, “I don’t know how to deal with you or relate to what you’re feeling” or else they are just trying to control you. You cannot help what you feel; it’s just what you feel. If someone has control or influence over you and tries to stop you feeling what you’re feeling, it won’t actually work. All that will happen is that the external expression is silenced but the internal feeling and emotion sits within and with no ability to express leads to untold problems, with the damage being potentially fatal. However different our upbringing, most were taught by default how not to feel, rather than how to feel and express in a healthy way. By the age of five or six years old we knew that it was not OK to feel angry, sad or frightened. So in order to be loved and approved of we learnt to suppress and there began the slippery slope. Over time we learnt which feelings were acceptable and which were most definitely not. Preverbal, children give voice to feelings and emotions and their expressions are met with mixed reception. Ironically the more we are taught to express through the spoken word, the less permission there seems to be to express through the language of emotion. There are several reasons why another would want to control our emotional world. Emotions are harder to control than intellect. Intellect can be structured and filed into good, bad, right and wrong, and once configured we control ourselves based on their criteria, with guilt often being the weapon of choice. Emotion is such a powerful force and a person championed by their emotions is unstoppable. If feeling emotion was encouraged and cultivated from an early age we would probably never hear of crimes of passion or the damage caused by someone flying into a blind rage or worse. In acoustics there is a phenomenon called sympathetic resonance. Take two tuning forks of the same frequency and strike one to make it sound, if in close enough proximity the other fork will also start to sound. This same phenomenon happens with emotion. The screams of a child can resonate with the suppressed feelings within another, waking up the buried emotions in the adult. Lacking understanding and awareness of what the adult is feeling, they try to control the child’s emotional expression, in an unconscious attempt to keep their own emotions suppressed and buried. Each emotionally suppressed child grows up to unconsciously suppress the next generation, perpetuating the cycle of abuse. As we start to unveil our history we see the damage caused by those who knew no better: “Stop crying or I’ll give you something to cry about”, a phrase heard by many from parents, including myself. Even as the five year old I remember thinking that she already had, which was why I was crying. In order though to be loved and accepted I just sucked it up and wiped away the tears. Unfortunately these feelings don’t go away but literally get swallowed up, locked inside, along with all the other feelings that were judged, criticised and forbidden as a child. If only we understood the impact of suppressing our own or another’s emotional expression. Eventually we get to a point where our level of suppression becomes too great to hold and there is major damage that is, in some cases, fatal. Imagine if we could press the reset button on life and start again from a place where all parts of us were equally honoured and expressed? In over thirty years of helping people I can honestly say that no one has ever died from having a feeling but I believe many have died from suppressing them. Our natural emotional vocabulary is perfect in its unhampered state, with an emotion perfectly formed to match every situation that may occur. Unfortunately judgement and interference has left us scared and damaged and we have to start to unlearn and untangle the criticism directed to our emotional self, a process that takes large servings of self-love and acceptance. Author adminPosted on March 19, 2018 March 19, 2018 Leave a comment on Stop crying or I’ll give you something to cry about. How can we hope for world peace, when there is a lack of peace within? From a young age I explored many avenues to find answers regarding my mental, emotional, physical and even spiritual well-being. Knocking on many doors, I sought help from a wide range of people offering varied approaches. While others took a more traditional route, it was my nature to look outside of the main stream, to find solutions to life’s many quandaries. On one of these numerous occasions, I found myself being asked a seemingly simple question. “Well a part of me feels……………” After giving my answer I realised that it was only part of how I felt. “On the other hand another part of me feels…………” Once again this comment was true but far from the complete picture. “Yes Phil but how do YOU feel?” I was asked again. I had no definitive answer and at that point realised this approach was not for me. At the end of the session I left the room, angry that I had not been heard. When I got home, I began pondering the experience that I had just had. Curious about what I had said in the session, I started to map out those different expressions and feelings on paper. As I wrote, even more aspects of me seemed to show up, quite different from the one before but easily identifiable as a fundamental part of who I had become. Some weeks later while having coffee with a friend, I started to share my new findings and theory. It seemed to me that we are made up of many aspects, many facets. In the past I would often find myself in the midst of an internal battle, stuck between opposing feelings, opinions or desires concerning the same situation, all vying for acceptance and to be my chosen plan of action, now I knew why. It brought to mind the lyrics of a song I had penned as a fifteen year old. Words that tried to give voice to the torment that the adolescent who had no other way to express. “Please will the real Mr Me please stand up. Could it possibly be that both of you are me. I wonder who I am and where I’m to be found. Grabbing a paper napkin and pen I started to map out and label each of these aspects best I could. “Carl Jung says the same thing” my friend said, when I had almost finished, “He calls them sub-personalities”. To me this title sounded too theoretical, too clinical. From what I had experienced these were in fact real parts of me, not some theoretical model. Continuing to draw out my map I tried to separate my findings from her comparison, by pointing out that there was in fact seven parts of me. At this point my friend confirmed that Jung had stated the same. Her comparison was now starting to help me, allowing me to feel that maybe my insights were not so crazy as I had thought and hearing this helped validate my experience. With this newfound awareness, I was able to start to learn more about myself. Awareness and acceptance seem to go hand in hand and the more I was aware, the more I had to cultivate acceptance. Conversely the more acceptance I had the easier it became to take a closer look at myself and not fear what I may find. Inviting each part that surfaced, to find a voice and a healthy integrated place in my life. I came to learn that there were some threads that ran throughout all aspects of self while others were unique to a particular aspect. All needing acknowledgement and acceptance but not all needed external expression. When sharing this idea with my clients I often create an image of a boardroom. Seven seats around a big table and I invite all parts of who I’m supporting to turn up and take their seat, giving each an opportunity to openly voice how they feel. Some say that they think about this stuff a lot, so what good would it do to say it out loud? It might seem strange, but only when we actually hear ourselves say it, does the true impact get received by all other aspects of self. I realise now years later that maybe in a “Healthy Balanced Human Being” there may be no separate aspects of self, all are one and one is all. They seamlessly transition from one aspect of themselves to another. For many though, trauma of one sort or another, emotional or physical, can cause a person to freeze and fracture. Each part starts to become isolated, no longer fluid. Like the ice cube in the glass of water, part but not integrated. One of the life skills needed for a trauma survivor before finding this way to integrate, seems to be making sure that the appropriate aspect is in the driving seat depending on the particular journey of life one is taking. How often have you been faced with a person having a temper tantrum more fitting for a two year old that the forty two year old facing you? Or the sulking rebellious teenager talking through your middle aged colleague? Prime examples where the wrong aspect is in the driver’s seat. Many people over the years told me they had a happy childhood without trauma, but the issues they bring seem to tell a very different story. When we look back from the adult we are now, many things don’t seem that traumatic but for the young child that we were the perspective can be very different. As a young child I often came face to face with vicious dogs and was always visibly frightened. I would be told not to be frightened that it won’t hurt you. It was easy for them to say that, way up there at a safe distance, but from down here with this dog baring his teeth right into my face, it was a very different story. In starting to dialogue with each part of myself I realised many things. When out walking with a bunch of children you can only go as fast as the smallest child. In the same way the “inner child” needs to be taken care of first. Many people try to find someone else to look after that “inner child” but this can never be a healthy solution. I once heard a mother say “I have five children, unfortunately one of them happens to be my husband”. For whatever reason her husband never got the parenting he needed to allow him to grow up integrated. So like many he adopted his wife as his mother and for some, it is easier to be his mother than just his wife. Although a woman is more than capable to be both mother and wife it’s never good to be both to the same person. When one is able to define, name and invite each aspect to be included, integration can begin. Voicing their feelings, needs, desires and aspirations allows each to be heard and given the opportunity to unite. The process of resolving and healing the pain and trauma of the past allows each ice cube to slowly melt and become integrated into the whole. If we could learn to live harmoniously and intergrated on the inside we might find it easier to help facilitate those around us. Author adminPosted on March 6, 2018 Leave a comment on How can we hope for world peace, when there is a lack of peace within? In life, there is much we take for granted. There are numerous times everyday where we don’t even register the expectations catalogued in our head. Only when the unexpected happens do we become aware of our expectations and their negative impact can be felt. I had offered a client a lift to the station and came out to get into my car. Walking up and down the street, my car was nowhere to be found. My understandable expectation had not been met and I was left very baffled. I found out later that it had in fact been towed away, being parked illegally a few nights earlier and forgetting to move it. A momentary blip of irritation and embarrassment soon passed and plan B was put into place and I walked the client to the station. Many expectations fall closer to fact. The physical world for the most part will be as we expect, day by day. Some expectations carry more weight, have more impact and potentially can be far more destructive than others. The majority of destructive expectations are personal, directed at self or others, or others directed towards us. It would be difficult to rid our lives of expectation, unless in some situations we could replace it with something else, something possibly more beneficial. If we reduce our expectation, we may find that the quality of life and our relationships can be positively affected. So what is the cost of expectation? What do we gain, what do we lose, by having expectations? What’s the problem with expectations anyway? And what on earth could we replace expectations with??? Hope is a far more useful, positive and productive state of being than expectation. Unlike expectation, hope is a form of inquiry where the outcome is not assumed. We may desire a particular result but we are not taking that outcome as given. Expectation on the other hand is a presumption, a done deal, rubber stamped with the outcome already decided, as if almost set in stone but is in fact, far from it. Every time I drive up the motorway, I see the results of dangerous expectation. Cars in the fast lane sitting so close to the one in front, expecting the one they’re chasing to keep going without anything out of the ordinary occurring, putting themselves and others in mortal danger. So how differently would they drive if they replaced expectation with hope? They would definitely make provision for the unexpected, giving safe distance from the car in front. How many lives would be saved if hope rather than expectation sat in that drivers seat? After all, sometimes the fastest is not always the quickest. As well as being safer, I wonder how much more relaxed they would be driving in a state of mind motivated by hope rather than expectation? No need to keep silencing that little voice, “What if something happens?” A voice that can create an underlying anxiety that might not even register, until it is removed. Over the years I have watched others and myself get very irate at our inability to understand the workings of computers. Our expectation that we should know “How to” leaves us feeling very frustrated. That frustration blinds us to being able to learn, as we berate our lack of knowledge and ability. Like with all learning expectation is a huge obstacle. How many times have you felt or heard someone say, I feel taken for granted? Another example where expectation has tarnished an experience, causing a whole myriad of problems that could have been easily avoided if expectation had not been engaged. Of course she can say no but it puts her in a tricky position. For most expectation is a normal part of life, something quite natural. It is in fact more closely related to our nurturing than our nature. It has been greatly overused, and will continue to be, until we understand how dangerous it can be. Expectation is an assumption that destroys our appreciation. What would we gain by more appreciation??? Well the list is almost endless. Appreciation feeds our heart. It helps to keep us in the moment. When you take nothing for granted, it’s like experiencing it for the first time and it keeps you in the present moment. I spent many years sitting cross-legged trying to “Be in the moment” only to find out that while I was trying, I missed the moment. Appreciation leads us to a state of gratitude, without having to do a thing. For years I quoted my father, who used to say; “Be grateful for what you have and thankful for what you haven’t got”. In quoting this once I was told “ I know I should be grateful, but I don’t feel it, and now I feel bad and guilty that I don’t feel grateful! Gratitude is not an action, not a lotion that you apply to makes things better, to make you a better person. Gratitude is a result of appreciation. Expectation on the other hand steals from us all of these things and leads us down a road to entitlement. Expectation will eventually kill appreciation, leaving a person drowning in his or her own sense of entitlement. “Entitled” has become a marker by which some are now identified, like “extrovert” or “left-handed”. Giving something to someone who expects it can eat away at your generosity. It can almost feel like they have stolen something from you, leaving you less willing to give the next time. “Thanks” or “Thank you” has in many situations lost its meaning, as thanks without appreciation is hollow. And in the presence of expectation appreciation cannot reside. Hope does not put all her eggs in the same basket, where as Expectation only has one basket. I hope for a life where I can retire all my expectations.